Sunday nights are definitely made for pizza and a movie. Or in my case a box set. I’ve just finished Season 1 of the West Wing and am about to start Season 2. Isn’t it brilliant? And yes, I know I’m about 10 years behind the rest of the world on this one, but hey, I still have all the joy ahead of me! The inspiration for this recipe comes from a great pizza place near our flat called Franco Manca. 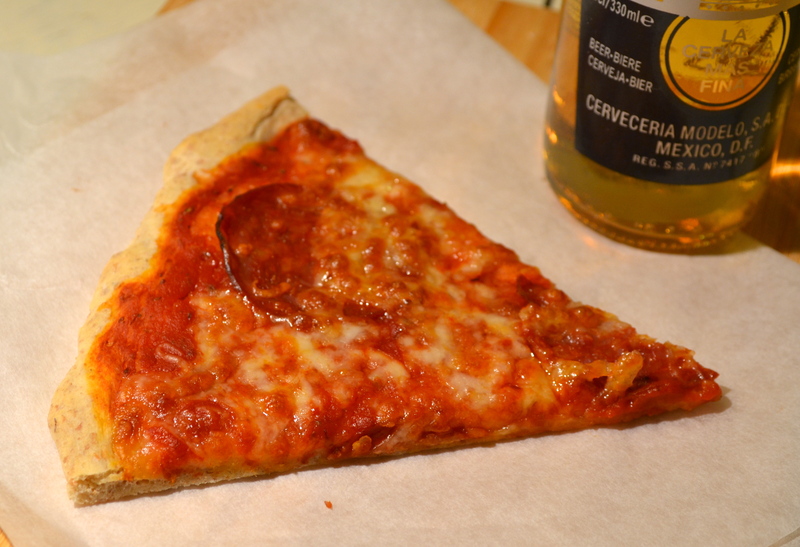 They make the most delicious sour dough chorizo pizza. Unfortunately they don’t deliver so for those lazy Sunday nights I have taken to making my own version. Whilst I don’t have a wood fired pizza oven at home and my base isn’t sour dough, my pizza definitely gives Franco Manca a run for it’s money. The pizza bases you can buy in the supermarket are pretty average to put it kindly, so I make my own. Or perhaps I should admit that it’s the Perky Kebab who’s behind the perfect homemade pizza base… Whilst I found the recipe (points for that surely?!!) he is definitely chief in charge of pizza dough (what a title!) in our house. The recipe is from the Smitten Kitchen and makes a lovely thin, crispy base and the dough is really easy to work with. It doesn’t require much kneading or effort but you do need to be organised if you want to have pizza for supper. 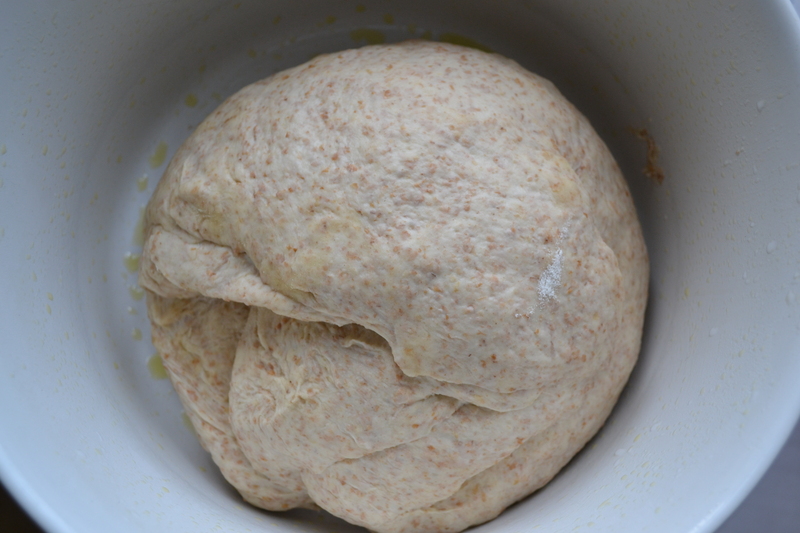 The dough needs to rise for 1-2 hours (depending how warm your house is) and after than for a further 20 minutes. The only alteration we make to the recipe is to halve the amount of salt as we found the original version a little salty. The topping is pretty simple but extremely good. Chorizo, basil, mozzarella, and herby passata, all blended together to create pizza perfection. Happy Sunday night! 1. Preheat the oven to 220°c/200°c fan. 2. Lightly grease a baking/pizza tray and put into the oven to heat up whilst you prepare your pizza. 3. Roll out your dough into a square/round. I like to make mine about 1/2cm thick. 4. Mix the passata, oregano, and crushed chillies together and season with salt and pepper. 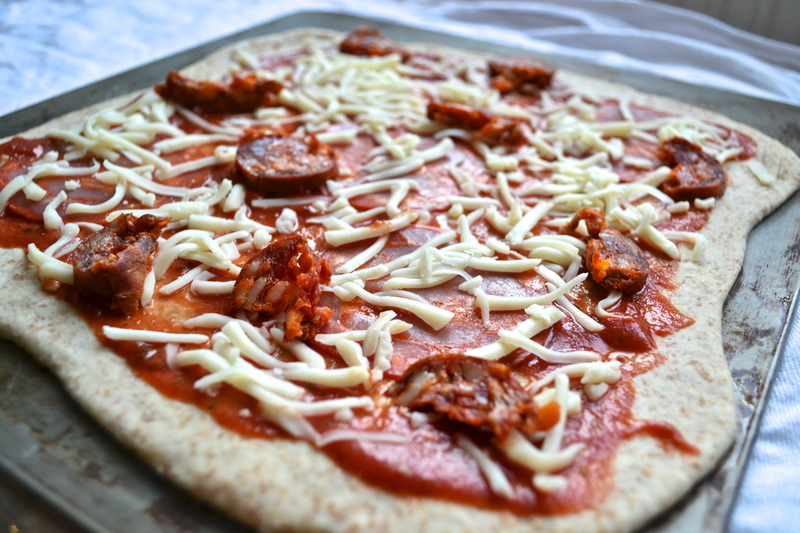 Spread over the pizza base then add the chorizo and mozzarella. 6. Carefully slide your pizza onto the pre-heated baking tray and cook in the oven for 8-12 minutes (depending how thick your base is – mine is usually done in 10), until the edges are crispy and browned and topping bubbling. 7. Tear the basil leaves and scatter over the top before serving. Thanks Scarletscorchdroppers! It does turn out really crispy – they key is definitely to putting it on a pre-heated baking tray otherwise the middle always stays a little soggy.